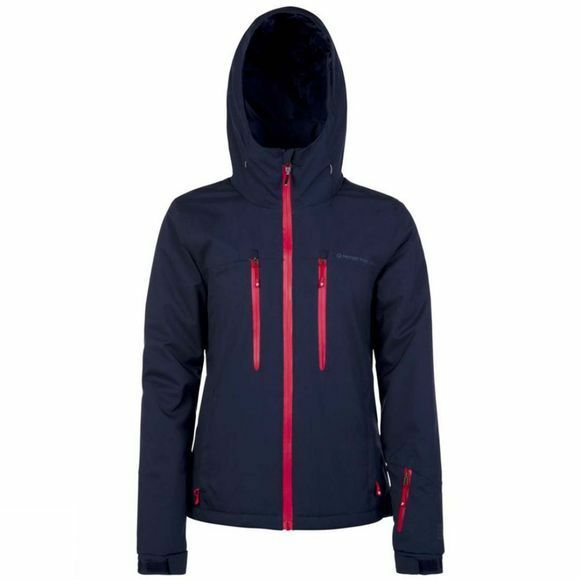 The Womens Giggile 18 Jacket from Protest is part of the Protest PVRE Series, technical gear for great performance. The fabric of this jacket is four way stretch to allow for maximum movement. This jacket features 20.000 mm water resistance meaning that the fabric is waterproof on the outside and breathable on the inside. There are ventilation zippers under the arms to allow for cooling when needed. The chest, lift pass and side pockets are all zippered to keep your essentials safe. Look sharp while in action this winter in the Giggile by Protest.